…linking Jewish life from generations past to the generations of tomorrow. 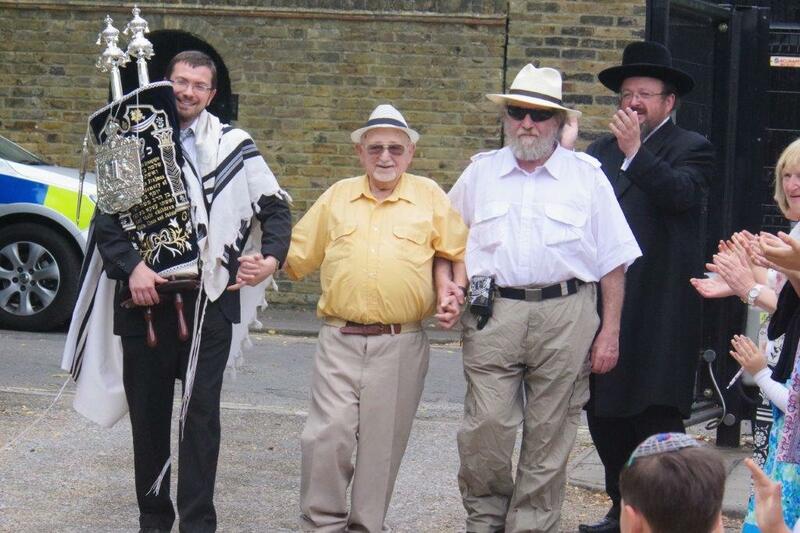 Rabbi Meir Shindler carries the sefer torah donated by Sam Freiman, on his left. They are accompanied by Sam’s son Ben Freiman (z”l) and Dayan Yonosan Abraham. Join us, whatever your age, background or level of observance. SERVICE TIMES: Friday, 7.00pm; Saturday, 9.30am. Richmond Synagogue is home to Richmond Jewish Community Hub, the inclusive cultural centre for the area’s Jewish community. NEW: Prof. Philip Spencer’s Holocaust Memorial Day talk at the synagogue.